These days due to computer gaming requirements most graphics cards have really powerful processing capabilities. And that is what Computta Smart Miner can use to do the necessary background computing for our chosen cryptocurrency network. 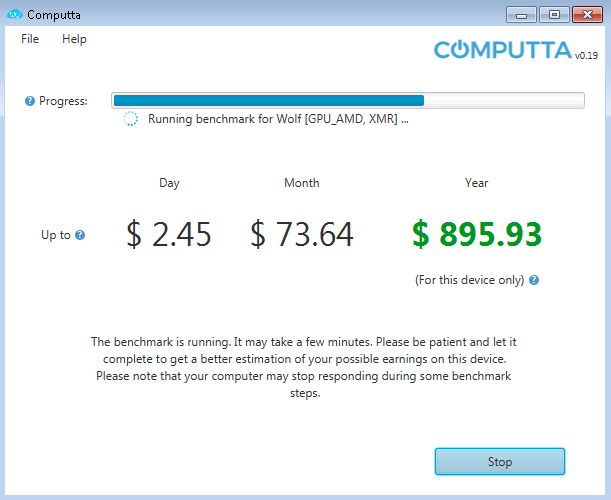 If your computer has a standalone graphics card chances are Computta can use it to generate you cash together with your CPU. If your GPU is quite modern and has 4GB or memory or more, it will produce much more earnings for your than your computer’s CPU. This is the case with most gaming video cards. So if you use your computer to play modern games – rest assured your GPU is good enough to generate you some good money. Why I Can't Mine For Cryptocurrency Myself?